Welcome to Phoenix & Ranelagh Mens section! 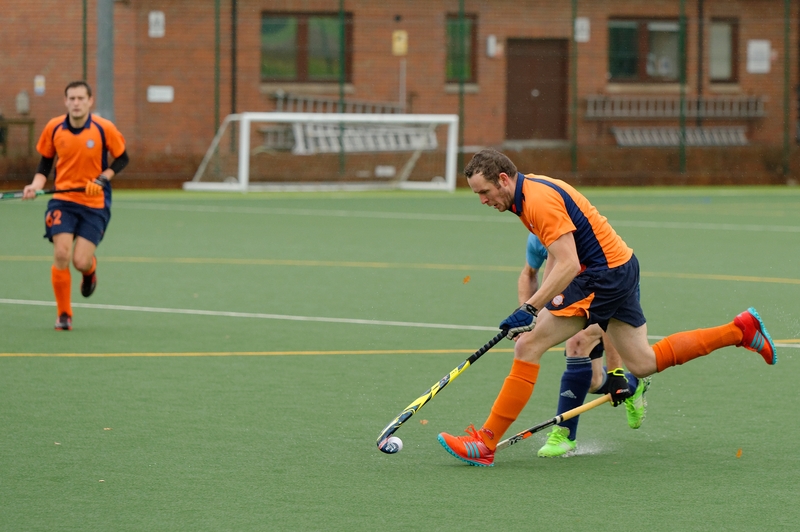 We run 3 mens teams and all of them play in the South Hockey League. This League covers a vast amount of the South of England, but is split into several leagues to keep it manageable. We have a growing youth section and attract a number of students from the University of Reading who mostly play in our second and third teams. We welcome new members of all abilities and pitch positions, and you can be sure of a warm and friendly welcome! The men train on Thursdays at the University of Reading Sports Park, Shinfield Road, Reading, RG6 6AH (If using satnav please use RG6 6UR). The sessions are Thursdays from 7.45pm to 9.30pm from 16th August 2018 to 13th December 2018. Training will start again on 3rd January 2019 and continue through to mid-March. The exact finish date will be reviewed depending on remaining fixtures. The men’s sessions are run by a level 3 coach and you will need to have some water, shinpads, astro trainers and a gumshield. You can borrow a stick to begin with if you need to or Decathlon sell a basic range. If you are a goalkeeper, we do have some spare kits to use but these aren’t normally brought to training so if you have your own please bring it with you, or tell us in advance and we can provide some basic GK kit. The only other thing we ask you to bring is a ten pound note and your basic contact information! It is for your safety, and the clubs protection. Accidents are very rare but once the £10 is paid you will be covered by the club insurance. If you are interested in coming to training to see if you like it, you can contact the Club Secretary or one of the men's captains on the Contacts page and we will get back to you with more info and contact details for the day you want to train. And if you want to join? Funny you should ask that. If you decide you like the sport (and the club) and you would like to join, to keep on training and also to be selected for matches, we have a couple of subscription options for adults and full time students over 16. Under 16’s would join on our Junior rates (their page is also on the website). For new joiners, the annual student subs are £25 and for adults it’s £120. If you are a goalkeeper with your own kit you can join for £60. If you want to join as an occasional player you can pay £10 and play a maximum of 5 matches per season. Depending on how far through the season we are when you join, we may be able to pro-rata the subs. Match fees are payable for any games that you might play on a Saturday. These are £7 for students and £10 for adults. Occasional players pay £12 per match. We play our home matches at Reading Uni which has a top quality astro pitch and a pavilion facility for changing & showering. The club runs lots of social events as a whole, and the men’s side is always keen to include some extra curry nights on the agenda! We are a social bunch and you will find details of social events on our Facebook page, or advertised on the website or on Twitter. Once you sign up to be a member, you can access our Club shop for playing kit and all your training wear! We proudly play in bright orange (with a hint of navy) and shorts, shirts and socks are all available through the Clubshop via this website. We also have tracksuits, jackets, t-shirts, hoodies, and rain jackets in a more subtle navy with orange trim for those that like the full club gear experience! Go to the Shopping page to look at what is available.